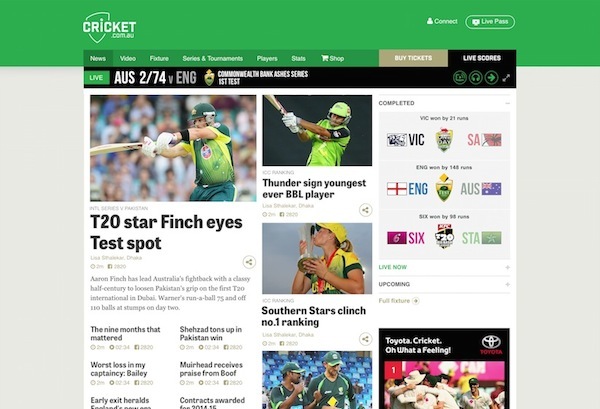 Cricket Australia today showed off two new websites to media, and revealed the thinking behind its strategy that sees a growing content arm separated from its corporate website. The hallowed MCG was the backdrop to which Cricket Australia today demonstrated the results of more than a year of work on its digital strategy, a time that has seen its newsroom grow from a team of two journalists and editors to 11. The new investment in content follows an audit of the current website which determined the site needed to change from trying to be a cricket news site and a corporate site at the same time. 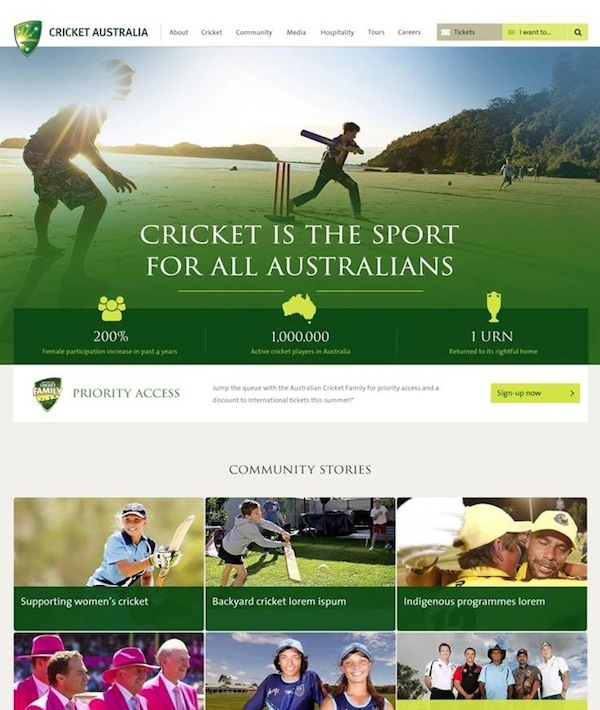 A new domain, CricketAustralia.com.au, now plays the role of corporate site, intended to be something of an evolving annual report and to showcase the organisation’s work in the community. 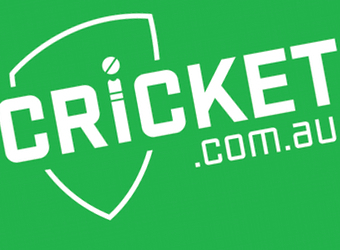 The existing domain, Cricket.com.au is now the place for cricket coverage, scores, video and live streaming of audio and video for international matches. It also includes brand integration from sponsors such as Toyota and Carlton Mid. The existence of live-streaming video is due in part to the cooperation of broadcast partner Nine Entertainment Company, which saw Cricket Australia establish its own digital media team in June 2013. Instead of handing over the digital rights for a third-party’s app, as it has done with Vodafone in the past, Cricket Australia has retained the rights for use on its own website and app, the latter of which launched last year and has been refreshed for the upcoming summer. Users can purchase a year of access to live streaming of all international matches for about $30 (except the World Cup, being held in Australia in 2015, to which Foxtel obtained the rights from the International Cricket Council, or ICC). The hero of Cricket Australia’s new suite of digital products is MatchCentre, which lives on Cricket.com.au and in the app, and provides scores, commentary and streaming audio and video. Partnering Cricket Australia on its digital journey is consultancy Accenture. The two parties are one year into a five-year partnership. The content management system (CMS) has been built to allow editorial staff simple publishing across the websites and app, and is a Sitecore implementation. Finn Bradshaw, head of digital at Cricket Australia, says they looked at best practice from around the globe, from America’s National Football League and Major League Baseball to the Australian Football League closer to home. Bradshaw, along with James Kim, Accenture’s Australia/New Zealand managing director for media and entertainment, said at the launch event that the new Cricket.com.au site is not the end goal, but rather the minimal viable product (MVP) that will see further enhancements. It was therefore important for the digital implementations to allow for agile development, employing the Bamboo tool for continuous deployment, he said. Cricket Australia is growing fast as a digital media provider in its own right. Last summer saw unique visits to its properties almost double the previous cricket season. The AFL started its own journey of this nature in 2012 and now employs more newsroom staff than many newspapers. As far as brands as publishers go, it’s regarded by many as the benchmark for sporting bodies. Of course, that has meant criticism for the inherent bias of being owned by the same organisation on which journalists are reporting. It will be interesting to watch how that issue plays out for Cricket Australia, although Bradshaw is adamant that management and players are very supportive of the content play being kept separate.